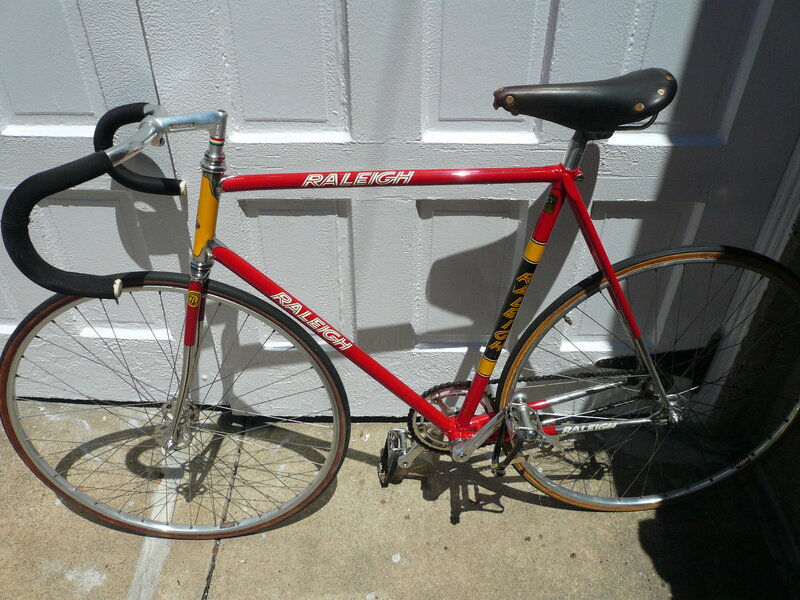 Pretty sweet looking Raleigh Ti track bike. I'm a bit surprised it has a horizontal top tube. I'm doubting the bike would go for a lot. But, likely would come in somewhere around $700 to $1000, give or take a bit. 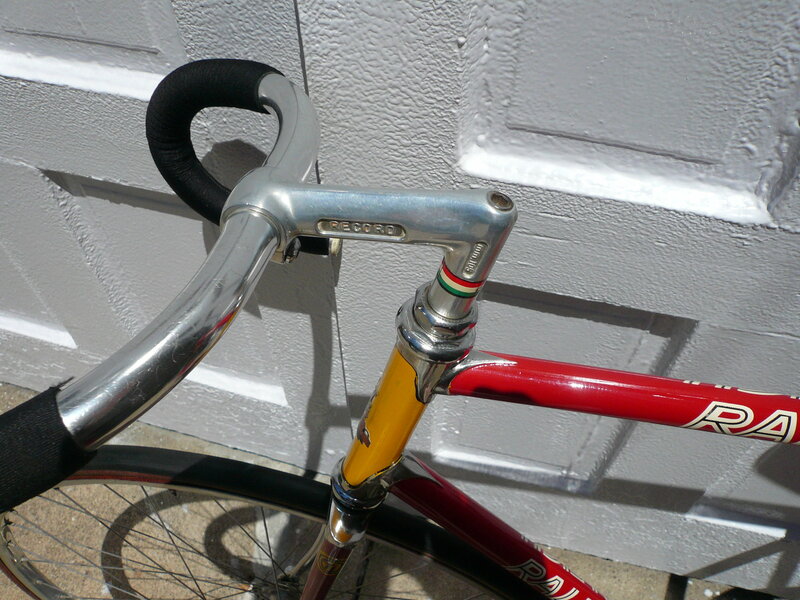 Perhaps that is it, but look at how straight the head tube and fork are!!! Reading cycling history, it sounds like the Funny Bikes started showing up in the early 1980's. So, perhaps either there weren't as many sloping top tube bikes as I thought, or this Ti Raleigh was just on the early end of the transition. 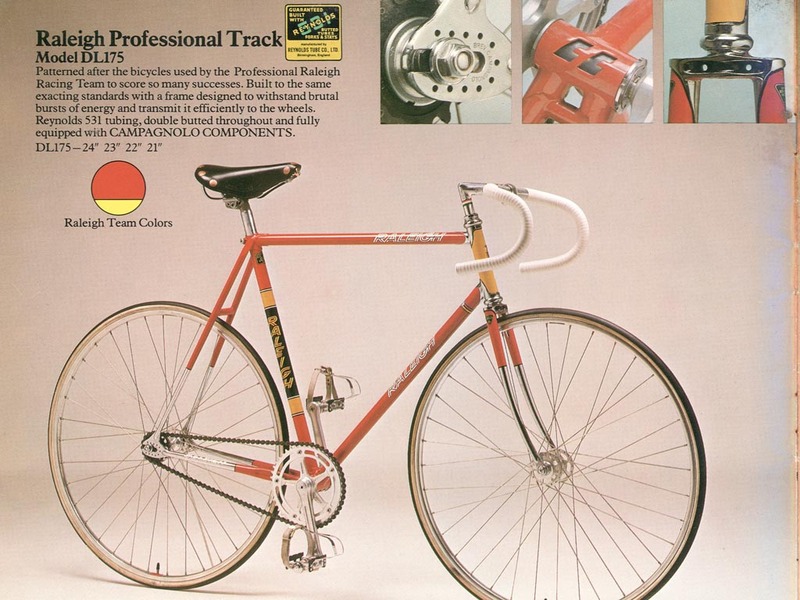 TI was the holding company that owned Raleigh and Reynolds among other companies. I don't think that sticker has any relationship to the racing team. Style of Reynolds decal places it 1975-1982. Based on the old style 3TTT Record stem, I'd place it towards the beginning of the range. This is the real deal, looks mostly original, could be worth a lot to the right person. I probably wouldn't ride this much, like twice a year but still have the desire to own it since it's just too COOL. 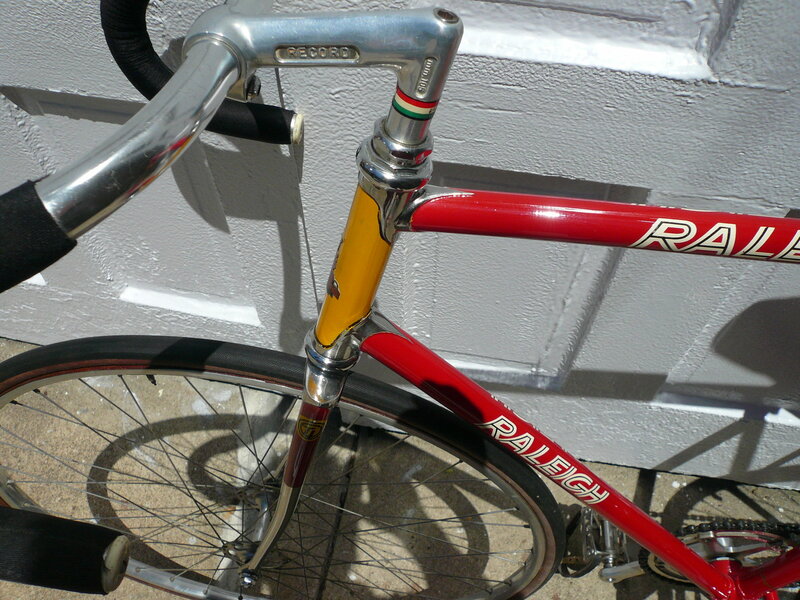 more pics , all campy stored for 35 years, just waxed it. 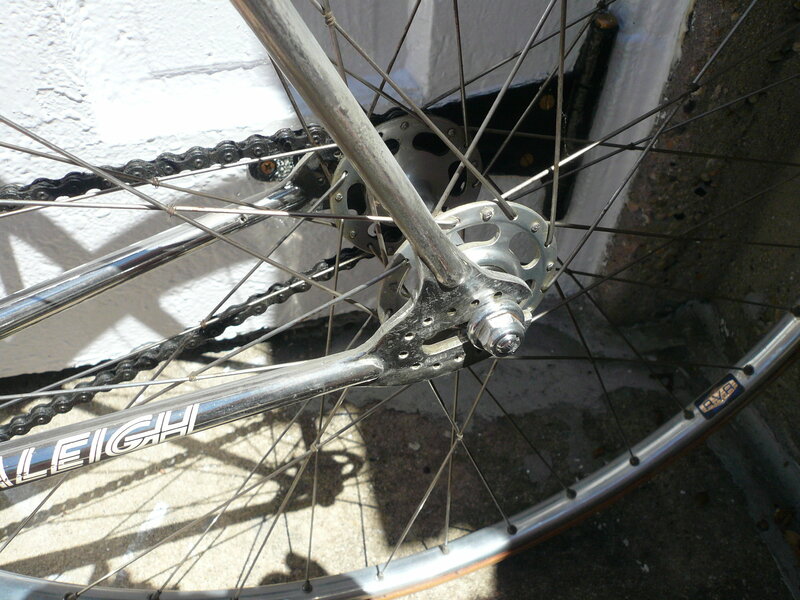 Does a 23mm tire clear the down tube, or is 21mm the bike's max width? Might need a 650b conversion. Hello, fat tire track racing! I'd win every race on something like that, since everyone here knows that a wider tire is faster. Gorgeous track bike. 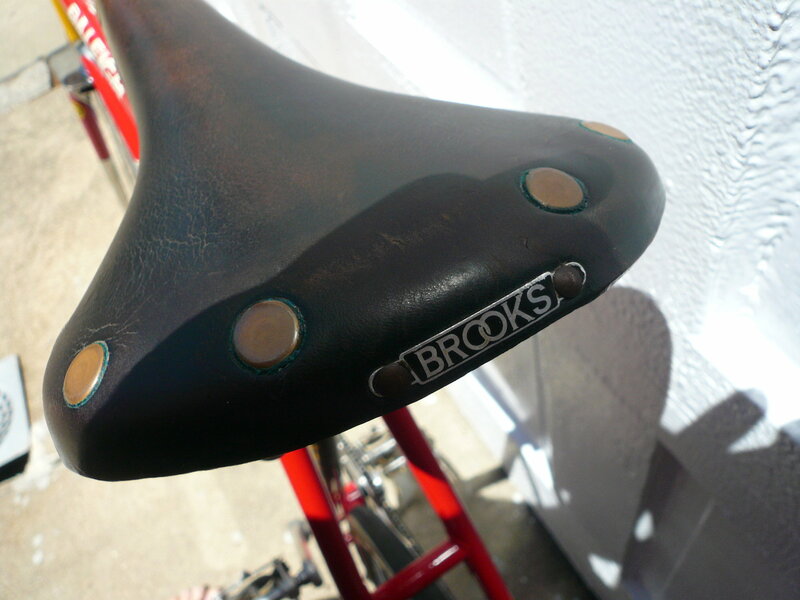 Appears to have the original Campy components. Very nice shape from what I can tell. I hear the market is soft on vintage bikes, but these don't come up all that often and there are track fans out there that are lusting over these. 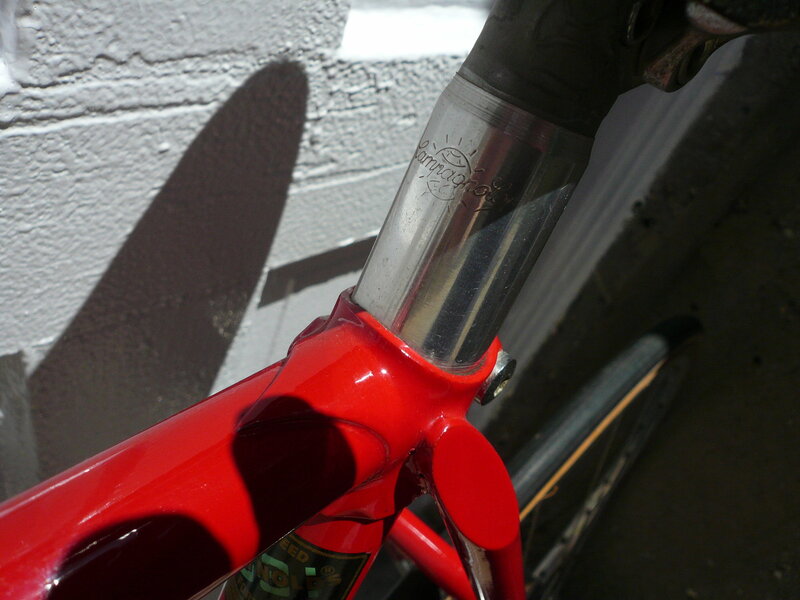 Chrome lugs, the paint scheme, the Campy bits, all add up to desirability. I'm going to say between $500.00 and $1,000.00 and yes, I know that is a big spread but it depends on where you sell it. Ebay will likely net the best sell price, minus fees of course. Then you have to ship it (probably). You could part it out if you are into that sort of thing. I wouldn't. ...but my first-born child is too old to trade. I'm a little more optimistic - start at four figures. It's a beauty. Deja vu. The OP opened a thread a month ago, asking the same question about the same bicycle.